Leftists are truly out of touch with reality. They actually believe people oppose Trump’s tax reform bill. Of course nothing could be further from the truth. And Leftists received a clear message about their November 2018 election strategy. 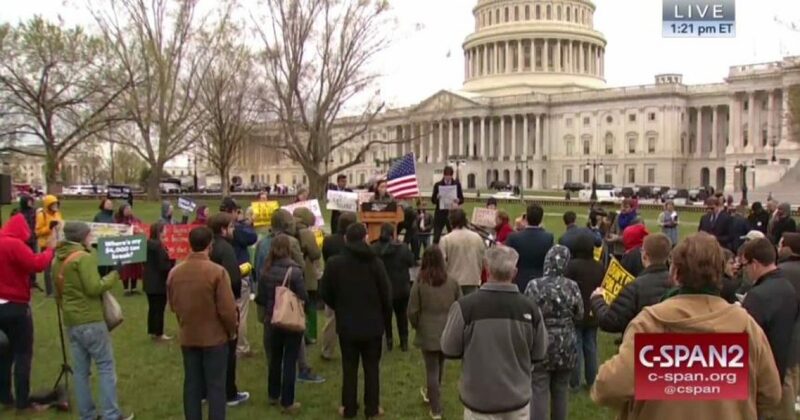 This isn’t the first time organizers gathered on Capitol Hill for a “Tax March.” Just last year, the same group organized a gathering with hopes of pressuring Trump to release his tax returns. Dems were banking on the returns to be their smoking gun. Unfortunately for them, the returns were released. And they proved Trump to be a generous American. In fact, Trump paid more than his required taxes, year after year. Sadly for Rachel Maddow specifically, she took it in the shorts for that one. And so did her vapid audience of anti-Trump Leftists. This year, the goal was a little different, as Leftists expected people to come out in droves for giving back their money. However, things didn’t quite work out as expected, at least for the Left. Apparently people like keeping their money. According to Bustle, Leftists billed the event as a cry for better tax reform. April 15 is rolling around again, but the organizers of the 2018 Tax March are highlighting a different issue this year: The Republican tax bill that Trump signed into law in December. Clearly Leftists lack knowledge of basic economic principles: people want to keep what they have earned. And what of the by-product? 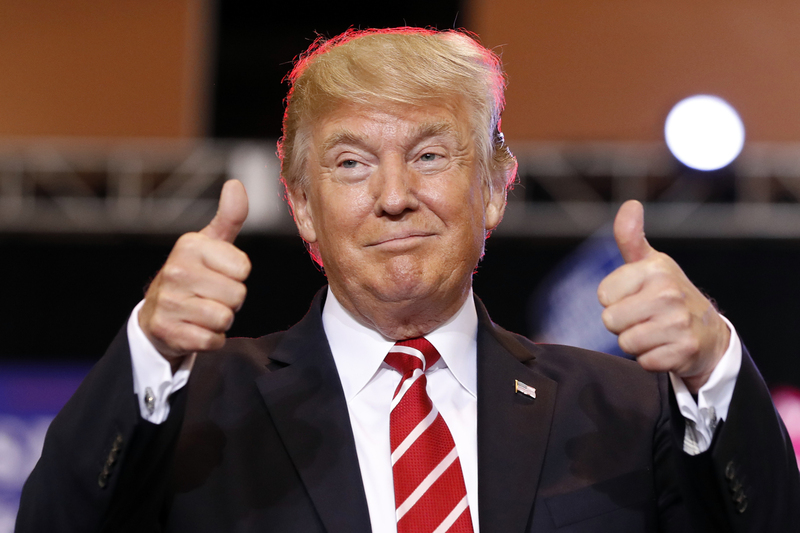 Trump’s tax cuts boosted the economy in the best way possible. Returning money to ordinary Americans provided a fast jolt, and spurred the best retail shopping season in over a decade. But the bigger boost came with what companies did, as they gave bonuses to employees. And those bonuses continue to come. Prior to the tax cuts, America limped along for 9 years in a “recovery” that never led to any substantial economic gains. No surprise, as there was no recovery, only the $8 trillion Obama dumped into the economy through “quantitative easing”. Trump’s administration changed that, actually boosting the economy with jobs. The country experienced unprecedented stock market gains without the need for “quantitative easing”. For those who think Obama’s market was amazing, imagine what the stock market would do if President Trump pumped in over $1 trillion a year into it? But he didn’t need it. Trump only needed to use his business expertise to run a government that was drunk on tax and spend policies. “We’ve got a global synchronized boom with low inflation,” said strategist Ed Yardeni, president of Yardeni Research. He called it an ideal “Goldilocks scenario” for investors, with the economy neither too hot or too cold. If it continues until June 2019, the U.S. economic expansion will break the record 120-month run of the 1991-2001 expansion. Of course Leftists won’t admit that Trump’s tax cuts and other policies have put the American economy on a rocket. Moreover, his success showcases the devastation left by Barack Obama, which Leftists certainly don’t want to own up to. But facts tell the ugly truth. Under Obama, companies were afraid to invest. Thus, innovation stagnated, as did wages. In contrast, under Trump companies now invest in research and development, and the economy now sees wages rising. Further, employees have mobility. They are no longer trapped in jobs. Nevertheless, Democrats sell the idea that Trump’s tax cuts were Armageddon. Yet another doomsday prophecy gone unfulfilled by the feckless Left. And that’s why Americans aren’t buying the “woe is me” anymore from Democrats. Also, that’s why practically no one showed up for the rally. Really, nothing to see here! At the height of the rally, there weren’t 100 people. So here’s the bad news. According to Bustle, approximately 125,000 people showed up demanding Trump’s tax returns. A respectable number, but no consensus. But to drop from 125,000 to 100 is a real sign. The sign of a flop in strategy, and a bigger flop in the upcoming 2018 election. If Democrats’ ability to turn out participants for an anti-tax cut rally is any insight into their ability to turn out voters this fall, the Party of Pelosi might be in trouble. 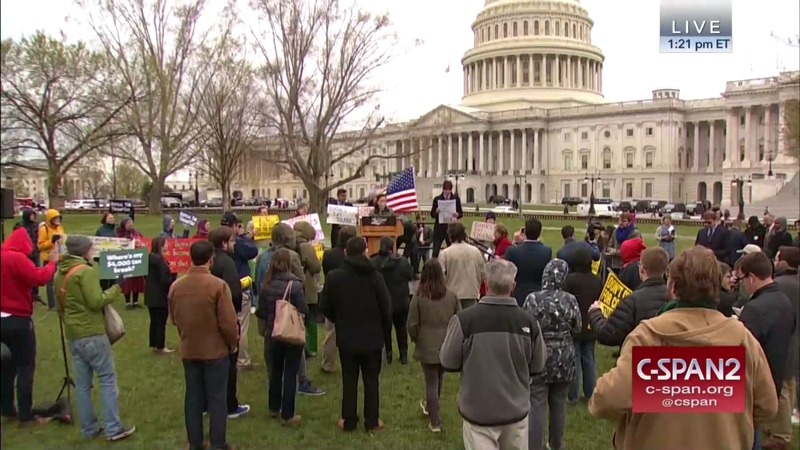 Democrats organized a “tax march” rally on Capitol Hill Tuesday to coincide with the federal tax day; attendees called for repealing Republicans’ recent tax reform package. But just a handful of participants actually showed up, despite the biggest names in Democratic politics making an appearance. Reps. Nancy Pelosi (D-Calif.), Joe Crowley (D-N.Y.), and Keith Ellison (D-Minn.) were just a few of the bold-face names to participate. Worse, most of the attendees appeared to be staffers from these lawmakers’ offices, or union members. After each applause line, only a handful of attendees could be heard applauding. Several speakers tried to blame the low turnout on the cooler weather. Did these people see how people braved rain and snow to see Trump. And they still would? But worse yet, there is Leftist precedent. The temperature during the so-called Women’s March hovered around 43°. So what’s with the excuses, Hillary? Clearly, Democrats have a long way to go if they plan on mobilizing voters during the 2018 elections. 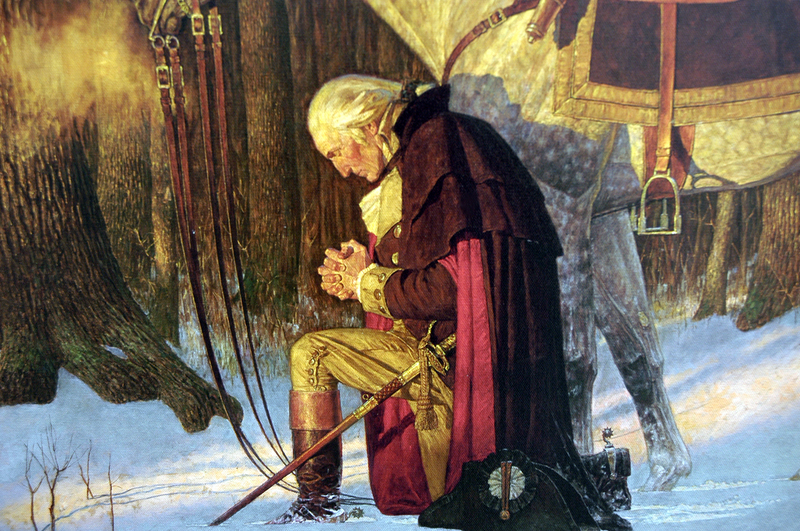 They could actually put country before ideology and support the successful president. But that would mean admitting they are losers. And Democrats don’t want to know the truth about themselves.